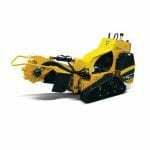 A self propelled petrol powered Stump Grinder. A compact self propelled Stump Grinder, designed to undercut unsightly or dangerous tree stumps and roots to below ground level. 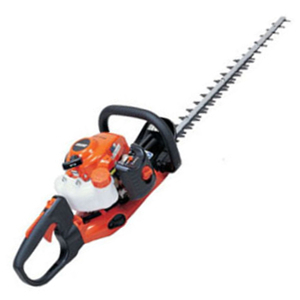 A high performance machine featuring Tungsten Carbide Teeth for fast results, and long rubber tracks to minimize ground disturbance and improve stability. To maximise safety, this machine has an operators presence control which shuts down the cutting wheel when the operator releases the controls. Grinds 635mm high stumps to 300mm below ground. *This machine comes with its own trailer. 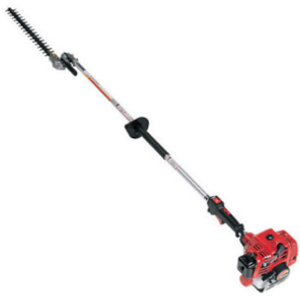 A long shaft petrol powered Hedge Trimmer. 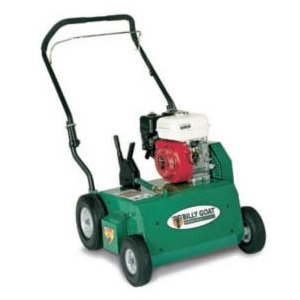 A petrol powered self propelled lawn scarifier. 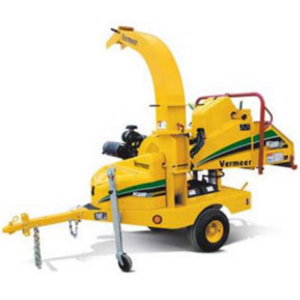 A highly efficient road towable petrol powered chipper.